Jody Watley, singer/songwriter/producer/independent label owner, is one of the architects of 21st century pop. From her groundbreaking marriage of rap & R&B (1987’s “Friends,” a collaboration with hip-hop legends Eric B. & Rakim) to her vision-forward marriage of high fashion, street fashion and music in the ‘80s, to her fusion of jazz and underground club culture. 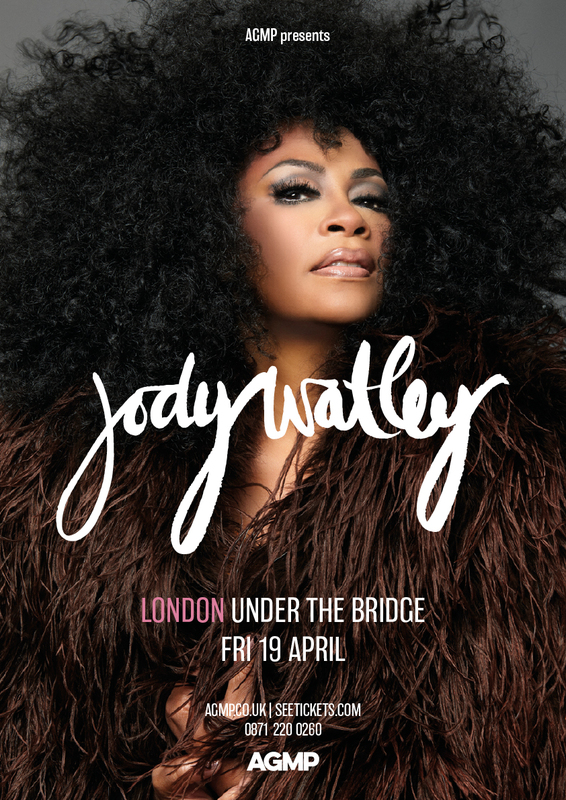 Jody Watley has collaborated with 4 Hero, King Britt, Kenny “Dope” Gonzalez & Little Louie Vega, Mark de Clive Lowe, Miguel Atwood- Ferguson, & Ron Trent, amongst others. Thanks to her non- stop touring, her global fan base remains as fervent as ever and they’ve made chart and club hits of Ms. Watley’s indie albums – Affection (1995), Flower (1998), The Saturday Night Experience (1999), Midnight Lounge (2001), and The Makeover (2006) – and her 2014 EP Paradise. For the past five years the ever multi-tasking Jody Watley has focused on both her thriving solo career and the group project “Jody Watley & SRL.” With musical influences that include Kaytranada, Anderson Paak, and Little Dragon, the music collective has released chart-topping UK Soul Chart Top 3 singles “The Mood” and “The Passion.” Their forthcoming album “Bridges” will be a seamless mix of dance grooves & funky beats.